It’s going to be a long couple weeks waiting for Miami’s second round CCHA playoff series against the Michigan State Spartans. Here are a few links and tidbits to help you cope through the bye week. For what seems like the 40th time this year, the Miami RedHawks had multiple members of the club named CCHA players of the week. And, for Reilly Smith and Connor Knapp, their names have been etched on the awards almost weekly during the second half of the season. Smith had a weekend line of 3-3-6 including a four-point night on Saturday in Miami’s sweep of duhOSU in earning the CCHA Offensive Player of the Week honor. Smith now has 26 goals on the season which is best in the conference and second in the nation. He was +6 on the weekend and named the #1 star both nights. He has now won this award four times this season, most of any player. Jimmy Mullin earned the first weekly award of his career by being named the CCHA Rookie of the Week after a 1-4-5 line and +5 weekend. Mullin had two assists on Friday and followed that up with a 1-2-3 line on Saturday when he opened the scoring with his ninth goal of the season. The weekend sweep has given Miami a six-game winning streak to close the season. The last loss for the RedHawks came on February 4 when Michigan finished a weekend sweep in Ann Arbor. Miami finds themselves tied for eighth in the most recent PairWise, sixth in KRACH (6th most difficult schedule), eighth in the INCH Power Rankings, 11th in the USCHO poll, and finally getting some respect from USA TODAY as they are eighth in the USA TODAY/USA Hockey poll. The RedHawks earned a well-deserved first round bye and the right to host a second round series against former CCHA commissioner Tom Anastos’ Michigan State Spartans March 9-11 at Steve Cady Arena. Speaking of Tom Anastos…the MSU head coach and former CCHA commissioner made several flattering comments when asked about the RedHawks in his Monday press conference. Take a listen. He’s definitely turning on the coach-speak, but his praise for Miami is well earned. He makes some interesting points about the size differential between the two squads. And, as you recall, he was most concerned about Miami’s physicality the last time the two teams met, a Miami sweep in East Lansing on January 6-7. Here’s what we had to say after that series the opened the RedHawks’ second half surge. To his credit, Anastos said of the Friday game, “I thought that we got what we expected – a tough, physical game from an opponent that has some pretty good size across the board. They made things tough for us, but we generated some shots and did a good job getting in front of the net.” (source: Lansing State Journal) So, at least the Spartan head man acknowledged the size and strength of the RedHawks and certainly did not go on the record complaining about calls because he got plenty of them Saturday night. On the results of the weekend, Anastos said, “When someone comes into your rink and beats you in every phase of the game, that’s unacceptable.” (source:Lansing State Journal) It’s always great hearing an opposing coach talk about how his team was dominated — especially in their barn. Lastly, here are your Saturday night highlights of Miami’s 5-1 win over duhOSU. Get over your New Year’s hangovers, ladies and gentlemen. IT’S HOCKEY TIME AGAIN!!!! While the Redskin Warriors were busy feasting on some football bowl games, delicious Christmas dinners, and partying way to hard on New Years, but we’re back in the groove now, and ready to rock the second half of the RedHawks’ season. Austin Czarnik was named Team USA’s Best Three Players of the World Junior Championship in Canada. Czarnik had 3 points in the tournament opener (1-2–3) against Denmark, and was featured by the NHL Network and CBS College Sports’ Dave Starman in a special feature before the US’ loss to Finland last week. Sweden won the WJC in an overtime thriller over Russia last night if you didn’t catch the game, and the US was 3-3 in the tournament, but did not make the medal round. Have no fear – Czarnik will be back in red and white (minus the blue) Friday and Saturday in East Lansing. Tommy Wingels was called back up to the San Jose Sharks, and Andy Miele made another appearance in Phoenix. Wingels came from the Worcester Sharks on 1/5/12, and has a 13-8–21 line in 29 games this season. Tommy had 4 goals, 2 assists and a +6 rating during the week ending 12/18/11, and was named AHL Player of the Week for his efforts. Wingles likely takes the place of the Sharks injured Colin White, who is on IR. He has recoorded 10 shots, 1 assist and 4 penalty minutes in his previous 4 games with the NHL club this season. Tommy has since been sent back to Worcester. He played over 10 minutes against the Blue Jackets on 1/5/12, and registered just 1 shot. Miele was called back up on December 27th. He has played 24 games with the Portland Pirates (AHL), and was named the AHL’s Rookie of the Month for November (4-9–13 points in 10 games in November) and earned a spot on the AHL Eastern Conference’s All-Star Team. In his previous stint with the big club, Miele played 5 games and collected 4 penalty minutes, but no points. If you’re in the Providence area, Andy faces off against the Providence Bruins and former classmate Carter Camper tonight as he returns to AHL action. Kevyn Adams, Miami’s 4th leading scorer all time with 172 points and a lenghty NHL career, will join the Miami Hall of Fame on February 11. Adams scored 69 goals, 103 assists and was a CCHA All-Rookie Team member, hit the 2nd Team All-CCHA squad in 94-95, and signed redhawk95’s #10 Miami jersey in a now-infamous visit to Oxford several years ago. 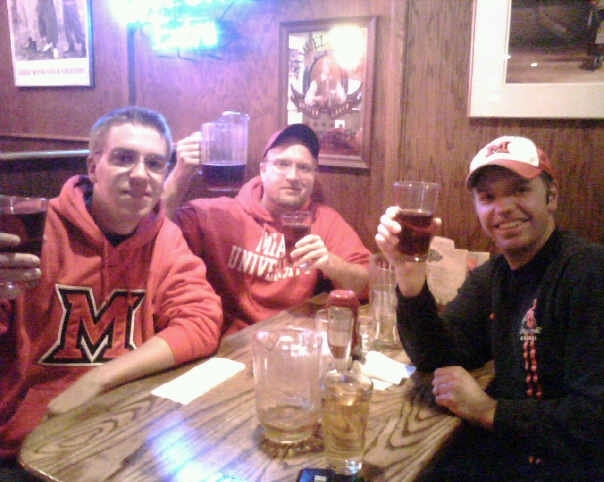 Adams’ good looks are rivaled only by redhawk95, and for it, Kevyn bought the table a pitcher of beer. That’s myself, some guy who was stealing our “Kevyn Adams beer” (Hi A.S.!!! ), and redhawk95 from left to right. Adams is also one of just 2 Miami Redskins/RedHawks to have his name enscribed on the Stanley Cup, having won the cup with the Carolina Hurricanes (now the Winnipeg Jets) in 2006. The induction will take place at the Miami Men’s Basketball game on February 11 at 3:30pm, and Adams is sure to head over to the Goggin for the 7:05 puck drop against Alabama-Huntsville. 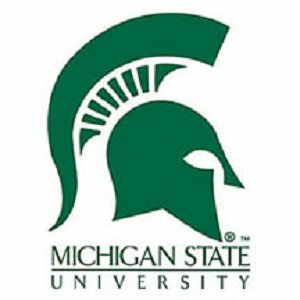 Michigan State (the “consensus No. 15 team in the country” per MSUSpartans.com) starts a 6 game homestand with this weekend’s series, and they come off of a runner up finish in the Great Lakes Invitational last weekend. MSU beat Michigan Tech in the semifinals of the 4-team tournament, and allowed a game-winner 3:22 into overtime against Michigan last Friday night in the championship game. MSU is led by former CCHA Commissioner Tom Anastos, and are currently tied for 6th in the topsy-turvy CCHA standings. Michgan State is 6-5-1 in the CCHA and 11-7-2 overall. The Spartans have at least 2 games in hand on each of the other 10 teams in the league though, and will look to climb up those standings quickly in 2012. It’s been a long time off for the Hawks, as they have not played since losing to the second-ranked Ohio State University in overtime on December 10th. After the month off, it will be interesting to see how the Hawks fare as they start the second half, or if the Rico Swoon will be of the season-long variety this year. Miami finished the first half losing 3 of 4 games, and looks to make a turnaround in the second half after a disappointing start of the season. 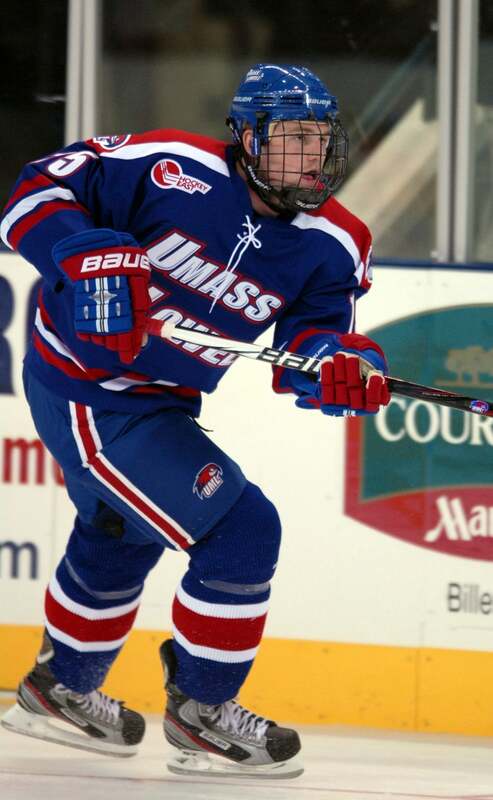 Reilly Smith is still leading the way for the RedHawks, tallying 12 goals and 5 assists. Czarnik, who will be back from Canada in time for the game Friday night, has 7 goals and 9 assists and also leads the team with a +7 rating. Captain Alden Hirschfeld is the only other ‘Hawk in double digits with 5 goals and 9 assists. No other ‘Hawks were in action over the break with any international teams, so look for a slow start on Friday night and a better effort Saturday. MSU will likely send out Drew Palmisano to keep the net clear of RedHawk shots in both contests. Last year, Palmisano led MSU to a 7-4 victory on Friday night in East Lansing. Miami’s head coach Enrico Blasi got medieval on the Hawks, only starting 20 skaters the next night, and the motivation worked, as Miami took a 4-0 victory Saturday night. Look for the Reichard/Knapp rotation again for Miami, as both goalies are healthy (as are all skaters, INCLUDING Cody Murphy, who starts Friday night!). MSU got a jump on the break and will rock us tonight, but we’ll come back strong Saturday night. MSU 4-1 Friday, Miami 4-2 Saturday. Enjoy the games, and Go RedHawks!